Biosecurity South Australia has issued a recall of all mangoes supplied by a Queensland producer after discovering an infestation of Queensland fruit fly larvae. 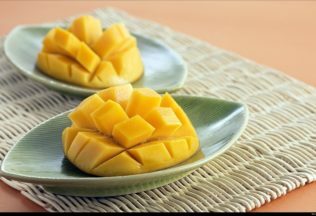 The unnamed supplier has been forced to recall their mangoes that were for sale in supermarkets. Biosecurity SA said the detection did not constitute an outbreak of fruit fly and the situation is being closely monitored in accordance with the National Fruit Fly Code of Conduct. Consumers in SA have been asked to check any mangoes they have purchased for signs of larvae and to call the Fruit Fly Hotline on 1300 666 010 if they find any larvae. Mangoes believed to contain fruit fly larvae should not be returned to their point of purchase. Executive Director of Biosecurity SA, Will Zacharin, said quick action from a member of the public altered Biosecurity SA to the heavily infested fruit. “The larvae were discovered in a mango purchased from a business in Adelaide,” Zacharin said. South Australia is the only mainland state in Australian that is fruit fly free. In 2016-17 the estimated farm-gate value of the state’s horticultural produce vulnerable to fruit fly infestation was AUD $1.25 billion.